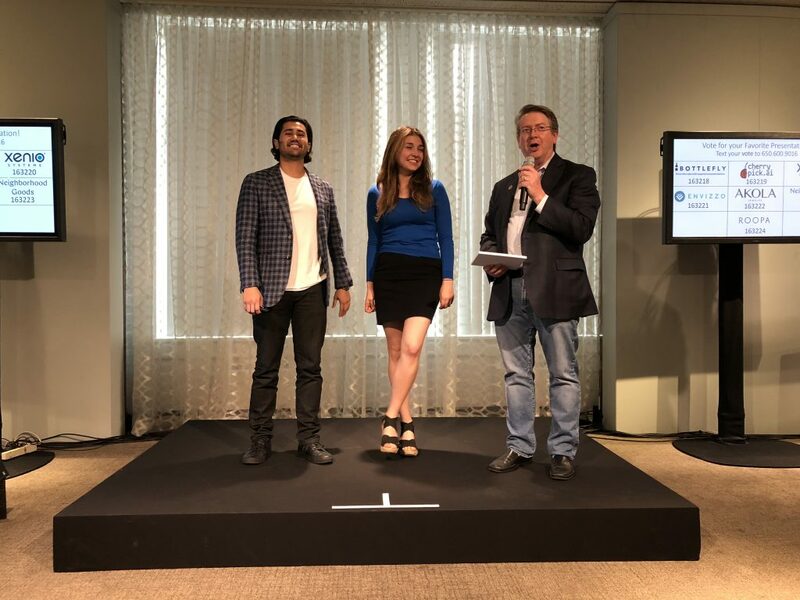 Tech Trends in Retail – Spring 2018 was one for the books. “That event was a high water mark for Revtech. 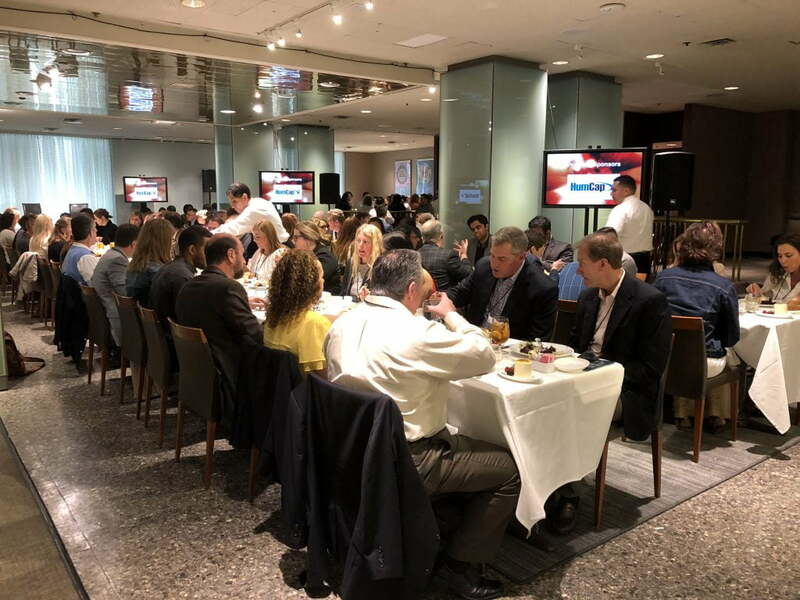 The venue, the speakers, and the food and audience were all A++”, RevTech mentor, Al Meyers, stated. 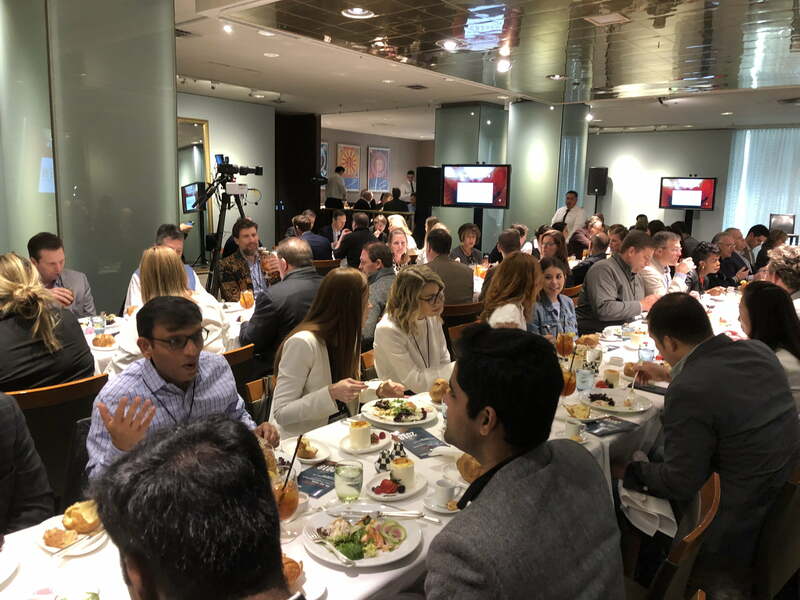 Tech Trends was hosted at the historic downtown Neiman Marcus at The Zodiac. With a completely packed room, the energy was buzzing. In their beautifully decorated room, we enjoyed a delicious lunch. Their popovers with strawberry butter are always a hit! David Matthews kicked things off by setting the stage of what REVTECH has accomplished and how our mentors are the bedrock of our organization. 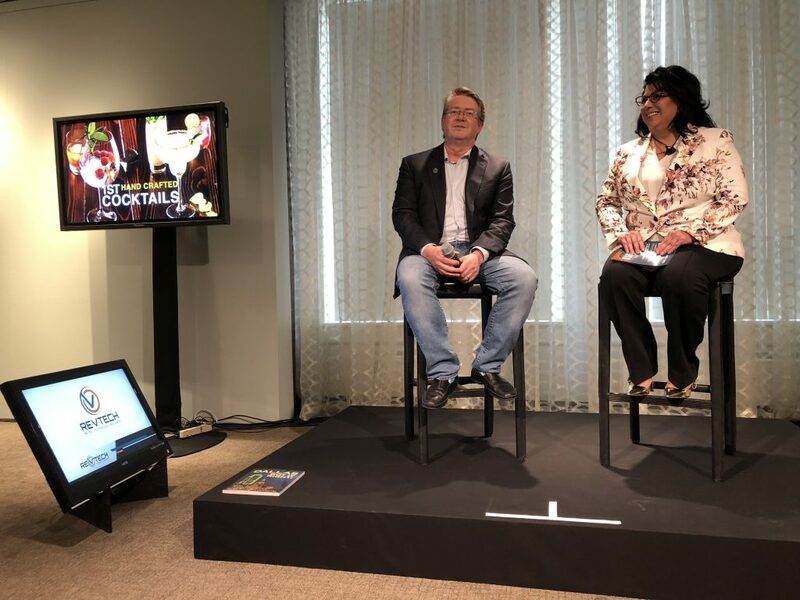 David then led a fireside chat with Gina Puente, CEO of Puente Enterprises, Inc. Gina and David had a dynamic conversation around retail in an interesting location, AIRPORTS. Gina has paved the way for luxury and unique concepts in multiple airports. It was interesting to hear about how with the rise of airport security, operating businesses in this unique set of locations has changed. Shalissa Perry, CMO of Downtown Dallas, Inc. welcomed the crowd and led an interesting discussion around how downtown Dallas has evolved. Speaking at a historic Dallas retailer, Shalissa described how downtown has grown tremendously. She touched on new retail initiatives they’ve participated in, such as taking over Unbranded and launching their pop-up store in the newly renovated Statler Hotel. Then the startup pitches began. The event’s theme was around new retail concepts and the technologies powering them. We started off with technology pitches and ended with new retail concepts. We heard from Bottlefly, Cherry Pick AI, Xenio Systems, Envizzo, Akola, Neighborhood Goods, and Roopa. There are company descriptions below. After all the companies pitched (quite well if I may say so myself) the audience voted for their favorite presentation. The audience favorite, was Bottefly! 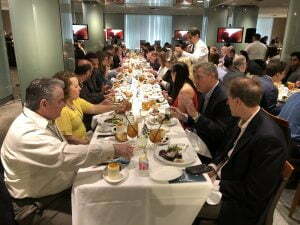 Following the event, we went to Sol Irlandes for a reception, powered by Brazen DFW. 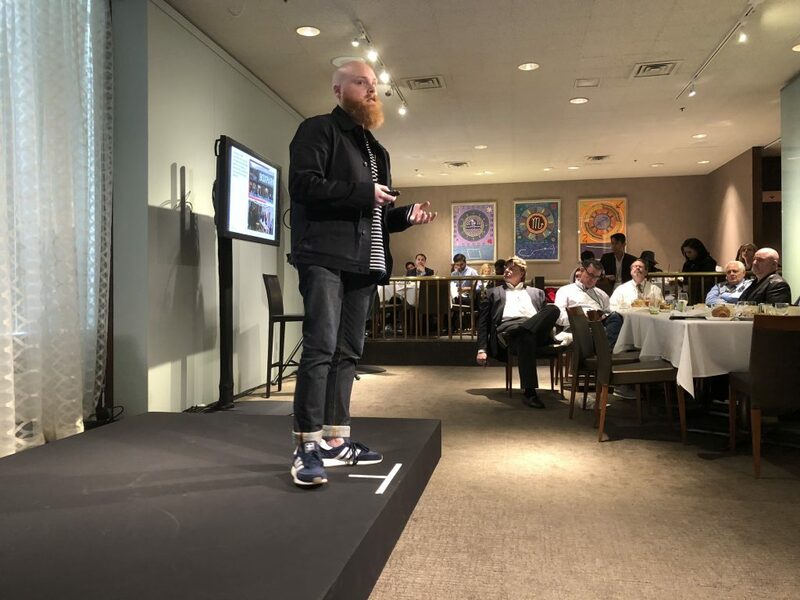 In an age of seemingly constant negative headlines about retail, it was refreshing to spend the day with so many retail innovators excited about the industry’s future. Thank you to everyone who attended and made this event possible. I cannot wait to see you at our next Tech Trends in Retail. Bottlefly – San Luis Obispo, CA: Bottlefly uses flavor chemistry and artificial intelligence to generate personalized wine recommendations to shoppers and to help retailers optimize product mix and improve margins. Cherry Pick AI – New York, NY: Cherry Pick AI is the first-to-market solution to help brands drive sales directly from social media comments. Xenio Systems – San Francisco, CA: Xenio levels the playing field for physical stores by applying hard science to detect customer’s real-time position within the store. Brick & mortar retailers can now track people’s journey and behavior for new levels of insight and engagement. Envizzo – New York, NY: Envizzo is a marketplace that connects brands to consumers through product placement in short term rentals. Once products are in the homes, Envizzo markets the goods and collects consumer insights from the travelers. Akola – Dallas, TX: Akola is a non-profit designed to empower at risk women by offering them training, a work opportunity, and holistic care. 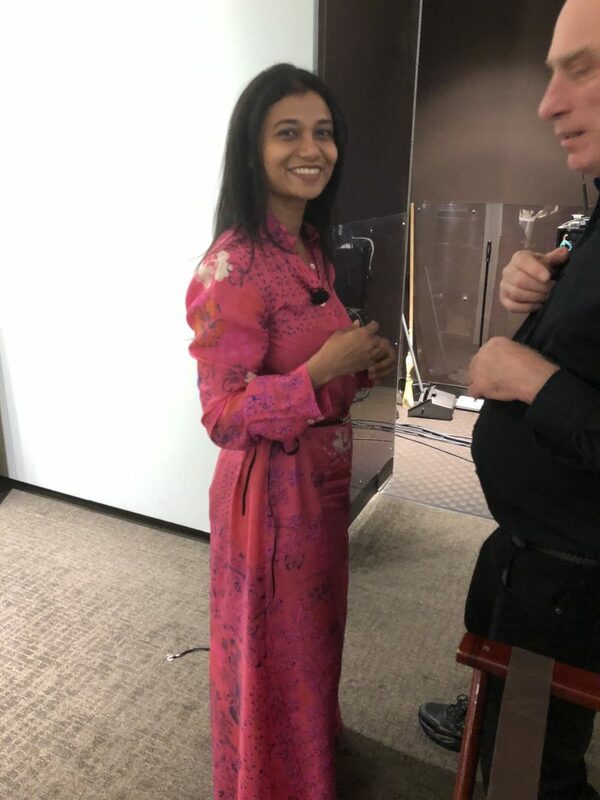 Akola Jewelry became the first full-impact brand that gives 100% back to launch in the luxury space through its every store account with Neiman Marcus in 2016. Akola became a top 10 jewelry brand in its first season at Neiman Marcus. Neighborhood Goods – Dallas, TX: Neighborhood Goods combines physical storefronts with editorial e-commerce to bridge the gap between traditional retail, pop-up shopping, immersive story-telling, and modern social experiences. Roopa – Dallas, TX & Melbourne, Australia: Roopa is an ethical luxury fashion brand that brings together a modern fusion of art and fashion. Design Duo Sudhir Swain and Roopa Pemmaraju create beautiful garments from natural fibres, each piece is lovingly handcrafted and embellished by skilled artisans in Bangalore, India using time honoured traditions and offering unexpected techniques to modern silhouettes.